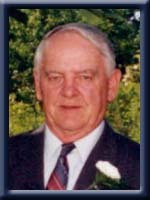 Smith, Clifford Murray- 82, of Hunts Point, passed away peacefully in Queens General Hospital, Liverpool on April 29th, 2012. Born in Beech Hill, Queens County, he was a son of the late Clifford and Myra (Frellick) Smith. In his earlier years Murray worked for Maritime Telegraph and Telephone. He was a member of Wesley United Church, Hunts Point, singing in the church choir for a number of years and volunteering in various church and community groups. Murray received the Builders Award from Baseball Nova Scotia in recognition of over 40 years of volunteer service in baseball. Murray had a passion for nature and spent many hours fishing, hunting and working in his wood lots. Survived by wife Phyllis (Henderson), daughters Joanne (Donald) Uhlman, Brooklyn, Beverley (John) Smith- Armstrong, Western Head and Cheryl (Peter) Armstrong, Black Point, sons Alan (Coreen), Cole Harbour and Blair (Michelle), Bedford, eight grandchildren, two great-grandchildren, sister-in-law, Edna Smith, Hunts Point and numerous nieces and nephews. He was predeceased by brothers Donald and Stanley and sisters Ada Fanjoy and Mildred Smith. Phyllis, we are so sorry to hear of Murray’s passing. We will miss seeing him in here. Take care, we are thinking of you. So sorry to hear of Murrray’s passsing. Our sincere sympathy to all of you at this very sad time. To all the family may I offer my deepest condolences.Murry was a hard worker and a nice man.Keep his memory in your hearts. Our condolences to you and all your family on the passing of Murray,he will surely be missed by all who knew him. Sorry to hear of Murray’s passing. Our Sincere Sympathy to you and your family at this sad time. I first met Murray in 1978 while working at Stenpro and he was working for Maritime Tel & Tel, then in 1986 Walter & I moved into the community of Hunts Point and Murray would stop by for visits. One year for Christmas he gave Walter & I a goose. Please know that Murray was a wonderful thoughtful friend to me when Walter passed away, he would stop by my work just for a chat to see how I was doing. Keep your memories of a wonderful husband, and father close in your hearts. Murray will be missed, our thoughts and prayers are with you all at this difficult time. God Bless. Bev & family , Sorry to hear of your loss . Take care & know we feel your pain . So very sorry to hear of Murray’s passing. He was a wonderful kind and gentle man. Our kids have very fond memories of him taking us back to his tree lot to get our Christmas trees. He will be missed. To Phyllis and family so sorry to hear of Murray’s passing !Our thoughts are with you all at this sad and difficult time. Joanne,Donnie & family: We are very sorry to hear of your loss and are thinking of you at this sad time. The Golden Families. To all the family: our sincere sympathy goes to all the family at this time. I’ve known Murray almost all of my life and grew up with his girls. He always had soft words, stories to tell and memories to hash over. He will be missed by all who knew him. Our thoughts and prayers are with you all at this very sad time. God Bless. To all the Family…….our sincere sympathy to all of you at this very sad time . Sorry to see of Murray’s passing, always enjoyed seeing him around he would love to have a cup of coffee and tell stories, he was a wonderful man, surely will be missed. Phyllis and family. My condolences to you at this same time. So sorry to read of Murray’s passing. Whether at the ball park, as a customer or just meeting on the street Murray was a fine gentleman that I took pride in counting as a friend. I am sure your memories will carry you all forward. We were sadden to hear of Murray’s passing. He will be certainly be missed by Fred. Fred did a lot of work for Murray over the years and had a lot of respect for him. Smith Family: We were sorry to hear about Murray. Our thoughts and our prayers are with your family. So sorry to hear about Murray’s passing. I remember one winter when Adam went into the ditch by our driveway and along comes Murray who stopped and hauled him out with his truck. It was very nice of him to do so. We always enjoyed his Christmas trees at home and in church. Our thoughts and prayers are with you and your family. Our deepest sympathy is extended to you at this sad time. Keep the memories alive in your hearts and he will remail alive with you. May you find comfort in God as He guides you through. Phyllis; So sorry to read of the death of your husband. My sincere condolences to you and your family at this time. Phyllis and family, our condolences to you at this sad time. To all smith family members.Sorry to hear of your loss.Our thoughts and prayers are with you all. To all the Smith family – Our deepest sympathy in the loss of your husband and father. Memories of Murray will help you in the days ahead. So sorry to hear of Murray’s passing. What a great story teller he was. He will be greatly missed by all. Hang onto the Beautiful memories that Murray has left each and everyone of you. He is now at Peace. God Bless you all at this most difficult time in your lives. Please to all the family, may God give you comfort. So sorry to hear of Murray’s passing. He was quite a story teller when he would stop for gas, sometimes staying nearly an hour…..and also chowing down a few Mars bars while there….our thoughts and prayers are with you all…he will be missed. To Bev and Family…Our deepest sympathy…I will long fondly remember Murray for the leadership he showed as president of LBC, a job he did with patience, humour and kindness. Years removed from that time, we would meet on the street and share fine conversations on the ‘state of things’. It always seemed to me that he had a twinkle in his eye. Strength to you all in this trying time. We were so sorry to hear of your loss. Our thoughts and prayers are with you all. Take care of each other. Bev so sorry to hear of your father’s passing. My thoughts are with you and your family at this time. To all the Smith family may we would like to extend our deepest condolences. We would like to extend our sincere sympathy to your family. May your happy memories help you through this difficult time. Please accept my sincere condolences in Murray’s passing. I enjoyed interaction with him over the years. He was a fine gentleman. Our deepest sympathy to Phyllis and all the Family. Please know we are thinking of you at this time. A trip to Nova Scotia was never complete without spending time with Murray and your family. To Phyllis&familyso sorry to hear about Murray,our thoughts and prayers are with you all. So sorry to hear of Murray”s passing. May good memories help you through this difficult time. God bless. I am sure Murray has set St. Peter straight on how to run the Pearly Gates, because when he “worked for the phone company” …. I rememeber that phase well. A wisdom he liked to share. He was a good person and gave back to our community. He led a productive, full life. He helped build it; and yes, they came! so sorry to hear about Murray. he was a good person who treated people with kindness. he will be missed. sending condolences to the Smith family, our thoughts and prayers are with you all during this difficult time. Our deepest sympathy to Phyllis and family. May the memories and love of friends and family help you through this difficult time. At this time we are sending our sincere condolences – as you know we are in Florida so will be unable to attend the service.Gord always enjoyed his visits with Uncle Murray – he said maybe Murray is up the Jordan fishing-catching all the trout ahead of him! .Any way take care and our thoughts are with you all ! So sorry to hear about Murray. Our deepest sympathy to you all.. So sorry to hear of your loss. May God comfort you by taking you yet closer to His loving heart. Murray is now with him and at peace. Dear Phyllis and family: So sorry for your loss of your husband and father, he was a fine man. Murray joined us here in school in Grade VII, and I will always remember his shy grin, and everyone liked him. RIP Murray. So sorry to hear about Murray.I enjoyed talking to him when he was in hospital and out in Hunts Point.He will be missed!Take care. We wish that we could be with you tomorrow. Your family has always supported the Armstrongs in our difficult times and we now mourn with you in Murray’s passing. He fought a long and courageous battle and is now at peace. Our new granddaughter is expected any day and we have promised to be available to look after the “big sister ” when they have to go to the hospital so are reluctant to be away for any length of time. However, we will be there in spirit and you are in our thoughts and prayers as you mourn Murray’s passing and celebrate his life, a life well lived. We are making a donation To the Cancer Society in his memory. Deeply saddened by your personal loss; Murray will be missed by all who knew him. May the comfort of family and friends add peace to the days ahead. I was so sorry to hear the news of your father. We are constantly losing friends and family but to lose a parent is quite different. He, along with your mom, was the one responsible for giving you life and nurturing and suporting you as you grew. An important part of YOUR life is now gone and that is very sad. Your dad was a godly man and now he is with his God. Rest in peace, Murray. We are so sorry to hear of murrays passing, he was a great guy inside and out, he always had a way of making us laugh everytime he came to the house. We couldnt of asked for more carring and loving landlords than you guys. Please know we are thinking of you at this time. If you need anything please dont fret to call. Phyllis and family: We were saddened to read of Murrays pasing. He loved a good laugh and he always could find me the perfect tree. He is now at peace. God Bless! We are so sorry to learn of your recent loss. Please know you are in our thoughts. May all the great memories you have shared together console you during this very difficult time. Please accept our condolences in the passing of Murray. He was a fine gentleman and a very kind person. Our thoughts and prayers are with you at this most difficult time. We wanted to say how sad we were to hear of Murray’s death and to offer our condolences. He was certainly a great community member and so kind to put up with me whenever Joanne invited me over to play. He will be missed and fondly remembered . Very sorry to hear about Murray’s passing. Our deepest condolences to all the families. He will be missed by all who knew him. Please accept my sincere sympathy on the passing of you father. I know he will be greatly missed. Take care and may God bless all of you and help you through this difficult time. Please accept our sincere condolences on the loss of Murray. I always enjoyed spending time with you all in Hunt’s Point and he made me feel like part of the family. Sorry that we couldn’t be there with you but you are all in our hearts and prayers. Murray will be remembered fondly. Aunt Phyllis, Joanne, Beverley, Alan, Blair, Cheryl. Sorry to hear of Uncle Murray’s passing, cherish the wonderful memories you all have, and find comfort in that he is resting peacefully. Phyllis and family I am so sorry to hear of your loss. I have known Murry most of my life and always found him to be a pleasant,friendly person who could find a way to make you laugh. Phyllis and Family, Sorry to hear of Murray’s passing. Our sincere sympathy is extended to you all. Our prayers and thoughts will be with you at this difficult time. Take care. Sorry to hear about Murray’s passing, we would like to express our sincere condolences to you all at this sad time. I am sorry for your loss. You are in my thoughts. Our deepest sympathies at Murray’s passing. I have many fond memories of hunting,fishing and work experiences too numerous to mention.He was a good man who led a good life and we are all better off for having known him. I am very sorry to hear about Murray,he was a good friend of my dad, Jordan. I went to school with some of his daughters.Thoughts and prayers to Phyllis and family. Sorry to hear of Murray’s passing. Our sincere sympathy to you and your family at this difficult time. Thinking of you. Sorry to hear of tour fathers passing. so to hear of the terriable news of murray `s passing he was a great man may god knows what a treasure he has with him now. I was sorry to hear about Murray passing. May God be with you and your family. Our prayers are with you and your family. Sorry for your loss Blair, thinking of you and your family in this difficult time. Sorry for your Loss Blair….Our thoughts and Prayers are with you and your family. May God Bless you with strength during your time of need. To the Smith Family… so sorry to hear about Murray. He was such a great person, and will be sadly missed in the community and by all who knew him. Thinking about you all at this very difficult time. Sorry to hear about Murray’s passing. We have enjoyed living next to you folks for 20 years. I am so sorry to hear of Mr. Smiths passing, he was such a GREAT man and the kids and I have fond memories of him. He was such a loving caring man and will always be remembered in my heart. It is such loss to lose such an amazing man as him.